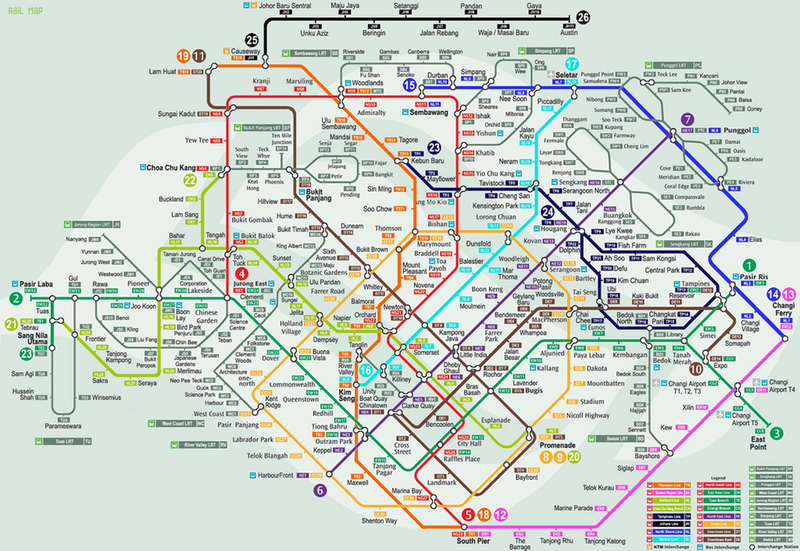 Hot Singapore Properties, Alternative Investments and Wellness Business: Concept Plan of Future MRT lines? 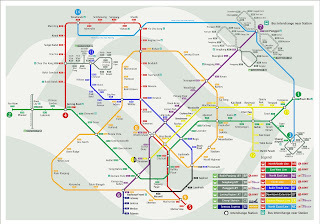 Concept Plan of Future MRT lines? I managed to get the plan from the internet, seems like a concept plan for the future. The Downtown Line would bring the rail network to 82km from the current 40km. It will quadruple rentable commercial space in its station to 14,000 sqm. The Downtown Line will have a daily ridership in excess of 700,000 when completed in 2017. Being a medium capacity MRT system each train has 3 carriages, underground, fully automated hence driverless. 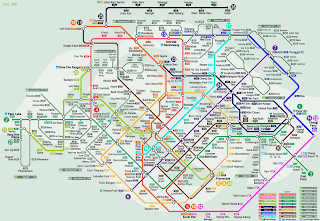 With 34 stations that links the North-western and Eastern parts of Singapore to Marina Bay. To be completed in 3 stages, Stage 1 (Black, Downtown Extension) with 6 stations in the city centre is expected to complete in 2013. Stage 2 (Indigo, Bt Timah Line) with 12 stations is expected to complete in 2015. And last Stage 3 (Yellow, Eastern Region Line) with 16 stations is due to open in 2017. I found another plan online, probably not firm but on the drawing board. Would be very nice to have Mrt lines running to Johore though. Just enjoy and dream about this pic, may not come true for a long time or ever!